Then I read Welcome to the World, Baby Girl and instantly fell in love with the residents of that small town called Elmwood Springs in Missouri. Welcome to the World... is the story of Dena, a New Yorker who loses her way and finds her life back in her small hometown. Dena's story gets remarkably interlinked with residents of this town a quarter century before including my favorites - the perky Dorothy with her neighborhood radio show, the woozy Aunt Elner and the every worrying Norma. These same characters make an appearance again in the charming Standing in the Rainbow, a tribute to Fannie Flagg's story telling skills. And then yet again in Can't Wait to Get to Heaven. All these are separate stories, none a sequel to the other, all moving back and forth in time with an ease that surprises. By the time you finish reading all three books, Elmwood Springs' residents feel like friends you have known forever. There is plenty of food in Fannie Flagg's books. Fried Green Tomatoes even comes with recipes for biscuits and gravy and such at the back, and then was followed up with a real cookbook. I even tried frying green tomatoes once. But what I've always wanted to make from Fannie Flagg's books is Dorothy's famous carousel cake. How I wish I had the skill to recreate Dena's happy memories of white and pink cake complete with a circus tent and a merry-go-round. Instead, I baked a batch of cookies like Neighbor Dorothy would every morning, to welcome the audience trooping in to listen to her show. These cookies also have a story. Last week, I won a giveaway - yes, me! You bet I was so excited when Aparna told me she's sending me a copy of Monica Bhide's "Modern Spice". 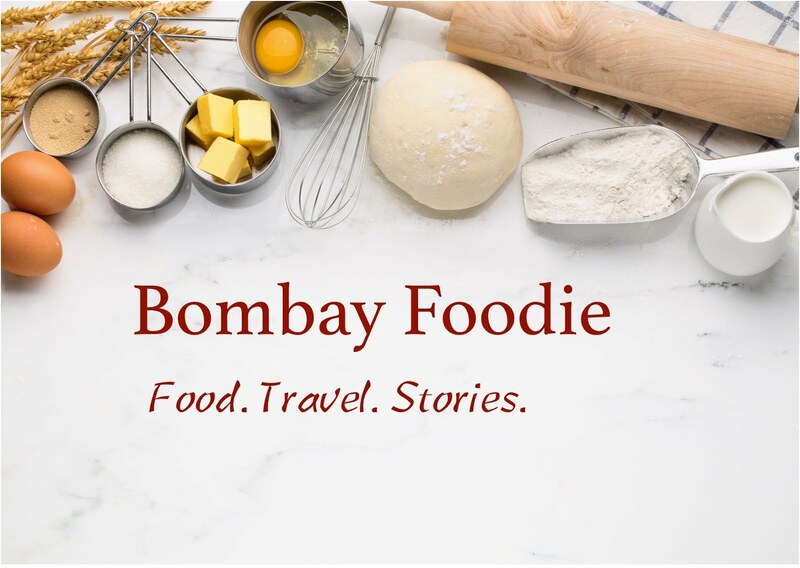 Monica brings a fresh perspective to Indian food, and I loved her unfussy recipes. 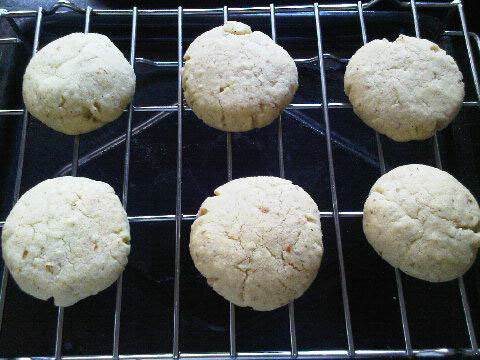 One of them was Amaretto Naankhattai, made with ghee instead of butter and tinged with spices. To make naankhattai, beat 1/2 cup each of caster sugar and melted ghee (clarified butter) with a fork until creamy. Sift in 1 cup of flour and a tsp of baking powder. Add 6 tbsp coarsely ground almonds, a pinch of ground allspice (or nutmeg if you follow Monica) and a tsp of amaretto (which I didnt have so I added vanilla). Gather the dough and press until it comes together. Divide into 12 parts, roll each into a ball and then flatten into a disk. Arrange on a baking sheet lined with parchment and bake in an oven preheated to 175C for 20 minutes. Next up, Garlic and Sapphires by Ruth Reichl. If you would like to read with us, please leave a comment here and I will get back to you with details. Congratulation Simran on completing two years of this wonderful book club. I bought a FF book last night and can't wait to finish it off and write my review. Congrats on the 2nd birthday.The nankatai looks good.You are such a good blogger for TBMMC event. I know that I have not been posting much for this event. I have been reading books here and there and have not completed anything. My job this summer is to start to read all the books that I promised to read and send in my super belated posts. I will have to take a break from blogging because its summer and I have my hands full with travel and entertaining a 6 year old. Congrats on the second birthday of the book club. after readig your review just ordered two FF books from my library. the nankhatai looks perfect. between would love to join this book club as often I find myself look for recipes that I got from a book I read. so please let me know the procedure. Thank you for a lovely review, Simran. I'm inspired to read one of the books now!